There are some blogs and geneabloggers that I want to introduce to you. They aren’t new to me as I’ve been reading their columns for quite some time; however, I want to put them in the spotlight this week. 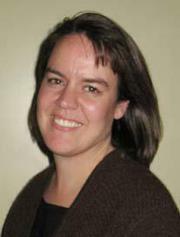 Marian is the author of several blogs: Marian’s Roots and Rambles, The Symbolic Past, and The New England House Historian. According to her “About Me” page: she “is a full-time House Historian and Professional Genealogist who focuses on New England research.” Marian “specializes in probate, deeds, New England town records and brick wall research.” She is the “Publicity Chairperson for the New England Regional Genealogical Conference (NERGC) and is actively involved with the New England chapter of the Association of Professional Genealogists. 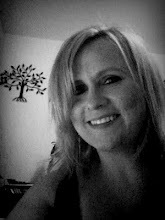 Her Roots & Rambles blog was nominated to the Family Tree Magazine 2011 Top 40 Genealogy blogs contest.” Recently, she posted a question to others on her Facebook page that asked how others manage to attend genealogy conferences all of the time. Some 70 responses later – and after many requested that she blog about that subject – Marian did just that. How Do Y’all Manage to Go to Conferences All the Time? is the article she wrote. I suggest you head over there to read it and the comments she received. Perhaps you have your own suggestion. Marian’s twitter is @marianpl. Carolyn is the author of Your Family Story. She writes her family’s stories and says, “I like to listen and write their stories down. Sometimes their stories are sad. Sometimes they’re happy. And sometimes they’re downright naughty [if I’m lucky].” Earlier this week (ok, yesterday! ), Carolyn wrote A Baby Boy!. She was looking for someone and ended up receiving information about a baby she hadn’t known about. She gives some links to helpful sites that she used to figure out what the Latin records meant. Carolyn also authors Pearl’s Day Books. Her twitter is @FamilyStories. Jenna is the woman behind Desperately Seeking Surnames. She says that losing both of her parents in 2001 prompted her to start searching for her ancestors. Jenna says that, “While going through their belongings the questions started to pile up, who was this? who was that? etc. Ultimately, I decided I would try to get the answers to the question and find our ancestors. I have been working my way back in time ever since.” One thing I like about this blog is the banner for her title – it looks like she scrapbooked it! Her Independence Day post is beautiful! You can find it at Happy Independence Day America. Jenna’s presence on twitter is @SeekingSurnames. 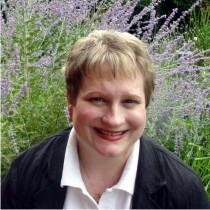 Lisa is well known throughout the geneablogger world (as well as those who read genealogy publications and books)! She speaks at conferences and has published many articles as well as several books. You can find out everything you want to know about Lisa at Lisa Alzo. Her genealogy blog is The Accidental Genealogist. Recently, Lisa’s written articles concerning her return trip to Slovakia: Sojourn in Slovakia: The Sequel; Sojourn in Slovakia: The Sequel. Preparing for the Trip; Sojourn in Slovakia: The Sequel. Departure Day; Sojourn in Slovakia: The Sequel. Day 1. Stay tuned – I’m sure Lisa has future articles that she will post concerning her trip. You can find her on twitter at @lisaalzo. In between the Martin Luther King, Jr. holiday on Monday, the grandson’s school schedule getting back to normal, starting back to my class schedule on Wednesday, work, normal life, and wanting to reach through the phone to strangle doing my best to keep my cool with a customer service rep for our health spending account, I did manage to get some blog reading accomplished! My happy dance this week was installing the Google Reader app on my kindle fire so that I have all my genea-blogs in one place! I want to highlight a few outstanding (in my opinion) genea-blogs that I enjoyed in the past week. First is Ginger Smith’s To Cite or Not to Cite? That’s not really the question! at Genealogy By Ginger’s Blog. This post was written on January 13 but I had not read it before publishing my Follow Friday post (I apologize, Ginger!) She discusses footnotes and the mysterious disappearance of said footnotes – even when she tries really hard to include them! Second, the wonderfully informative (tongue-in-cheek humor) post on The Sound of Music Effect from Donna Pointkouski at What’s Past is Prologue. As only she can, Donna explains the difference between “a true story” and “based on a true story”. Lorine McGinnis Schulze is much braver than I ever would be in her post, Sharing Memories – Week 3 – Hair! at Olive Tree Genealogy Blog. I’ve had some of those “wild” hair-do’s as well! Many of my fellow genea-bloggers were discussing SOPA and PIPA in the past few days and some blacked out their sites on Wednesday in protest (along with Wikipedia and other well known websites). If you haven’t read the above posts that I mentioned, go check them out, leave a comment and add them to your “must reads”. And as always check out Randy Seaver’s “Best of . . .” on Sunday. At one time I had tons of genea-blogs that I bookmarked and read every day, but when my daily schedule became too busy, I stopped reading many of them. Not because I didn’t like them, because I did, and many still provided good advice or stories. I just had to decide which ones were more important and could fit into my schedule. Genea-Musings because Randy always has good tips, a little humor thrown in at times, and writes consistently each and every day. I enjoy the Saturday Night Genealogy Fun that he posts each Saturday afternoon and the Best of . . . posts that he writes on Sunday. Ruth’s Genealogy. It used to be Bluebonnet Country Genealogy but has undergone some changes lately. Please go visit Ruth and see what wonderful renovations she has made! Kinexxions by Becky Wiseman. She has spent a good deal of time traveling the country, posting about her travels, as well as the research she was able to accomplish during her two (yes, TWO) trips to Salt Lake City in the last year! Reflections from the Fence by Carol. I started reading this blog after Becky Wiseman posted on her blog about meeting up with Carol and her husband, “Man”, during her first visit to SLC. This couple has spent the better part of the year traveling out west, and Carol has written many posts about “The Trip” and inserted wonderful photos. Almost feels as if you are with them! Donna Pointkouski’s What’s Past is Prologue. Donna always inserts her own brand of humor and insight! Becky Jamison’s Grace and Glory. footNote Maven’s footnoteMaven. Unfortunately, fM has had some personal issues to deal with for several months and she hasn’t posted as often as I’m sure she wanted to. I’m sure she would say that she’s doing what she wants to be doing now (except for getting over a recent auto accident). Many have sent prayers and good thoughts to fM and Mr. M, and we will continue to do so. There are several more that I read on a consistent basis but I wanted to highlight those above. However, in my last post, I urged readers to go check out some blogs and posts, and I will be taking my own advice and try to read more frequently. Since I’m attempting to get back on a routine of posting consistently, I wanted to highlight some of the interesting blog posts I’ve read this week. Please check them out! Jasia at Creative Gene has posted the Carnival of Genealogy, 113th edition (A Dickens Christmas). Ten geneabloggers contributed to the COG (including moi). Randy Seaver at Genea-Musings posted a series of articles about Finding Census Records at Archives.com – you can read them here, here, and here. These posts have some helpful tips about searching the UK Census records. Miriam at AnceStories: The Stories of My Ancestorswelcomed in the New Year with her post 2012 – Out With the Old, In With the New!. For those who enjoyed reading her blog, she explains her partial absence over the last year aside from doing Scanfest posts. This is a truly moving story! Judy at The Legal Genealogist posted Docking an Entail – you are now wondering what an “entail” is and why would you “dock” it, right? No? Then you must already know what it means! For those who don’t or who want to know, go read. Oh, just read her entire blog! It’s brand new that began on January 1, 2012! Welcome to the geneablogging community, Judy! If I didn’t pick your post (or blog), please forgive me. I’m just now starting to get back to reading on a regular basis. These are the ones I happened to stumble upon this past week. With the spring semester of college behind me and a couple of my “volunteer” jobs winding down, I’ve been doing some serious research for the last month. My “free” subscription to Ancestry will be ending at the end of this month, so I’m scouring it for last minute tidbits. One thing I’ve realized is that with my time short, I’m grabbing the image and the source information and will transcribe later. That is mainly when I find the census images. I can list occupation, residence, etc. all later. I do make sure I’ve listed my sources – that way I have a way to look for it at another time if need be. Some of the people I’ve located information for aren’t in my direct line, but rather collateral family members who hadn’t been located past a certain time. Databases – besides Ancestry – that I’ve used include: Rootsweb, Familysearch, Find a Grave, and county websites. This week I’ve taken a break from my own line. An older couple at my church came into the office (I work for my church) and we proceeded to talk about the husband’s father and grandfather. They mentioned they didn’t know much about that side of the family – so there I was, offering my research services. That afternoon after the wife sent me information she did know, I started finding census records and naturalization records. It feels good to accomplish something. I’m hoping to give them a report in another week. I think taking a break from my own research will give me a fresh perspective when I get back to it. I’ve also enjoyed reading the blogs of those who attended the Southern California Genealogy Society Jamboree over the past weekend. I wasn’t able to listen to any of the lectures that were streamed live. The pictures I’ve seen showed many of my geneablogger “friends” having a great time – maybe too good of a time!